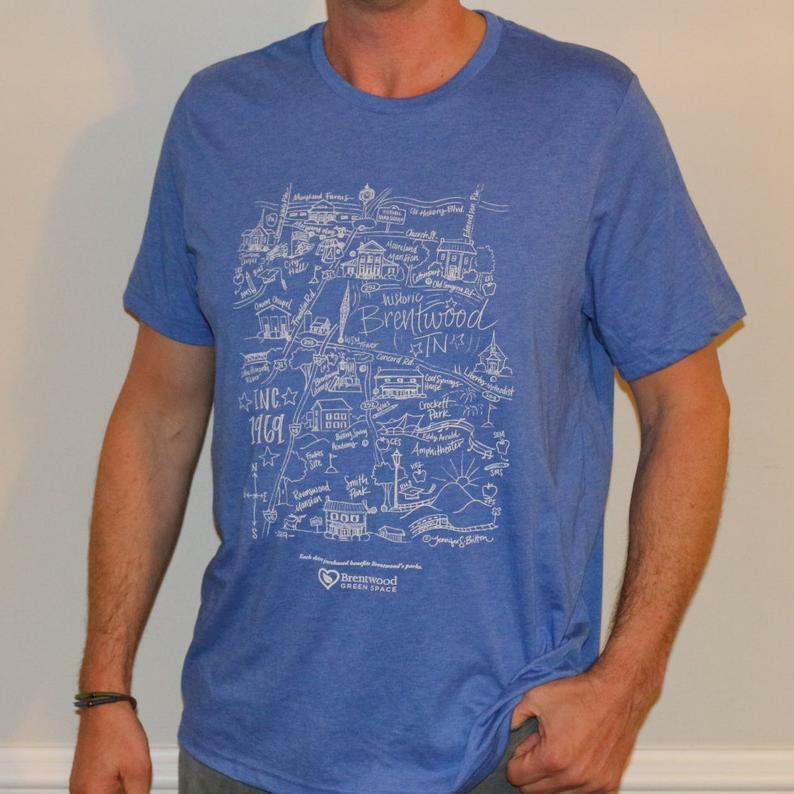 Attend the Golden Gallop parade on Saturday, April 13 at 2:00 in Maryland Farms and buy a commemorative T-shirt celebrating the 50th birthday of the City of Brentwood. Find us at City Hall near the reviewers stand. 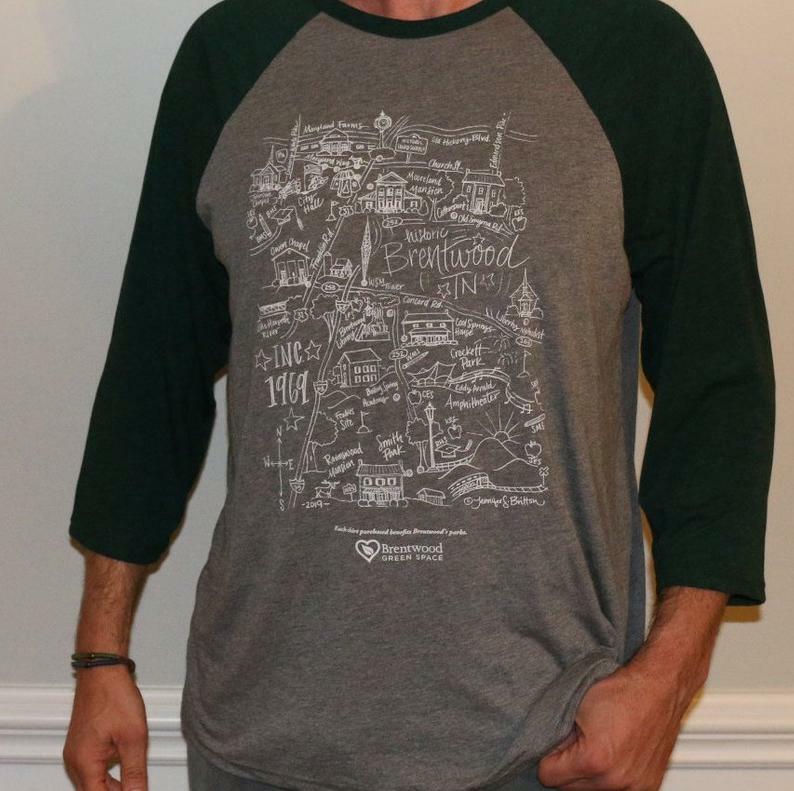 All net proceeds go to support Brentwood's parks and trails. Two styles of T-shirts are available. Click here to learn more. 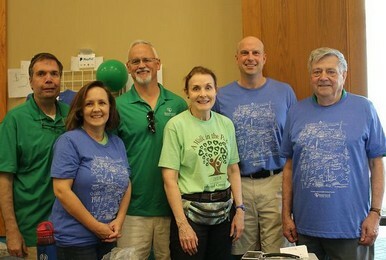 The Citizens for Brentwood Green Space celebrated Brentwood's Arbor Day festivities on April 6 by passing out balloons and selling T-shirts commemorating Brentwood's 50th birthday. 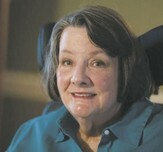 Memorial Fund: We invite you to join us in helping honor Peggy’s memory by contributing to a fund for a memorial in one of Brentwood’s Parks and a plaque in her honor along with adding her name to the sign at Smith Park “in memory of”. Click on the Donate menu item above to send a check or pay by credit card designating "in memory of Peggy Howell". The Board of Directors held their annual meeting January 28, 2019. The 2018 annual report for the past year is provided in the link box below. When people designate CBGS as their preferred charity while shopping at smile.amazon.com, we will get a small portion of the sale. Click on graphic above to begin donating as you shop. As a result of the Walk in the Park event, CBGS presented a check to the City of Brentwood in the amount of $11,000 at the September 27, 2018 Brentwood City Commission meeting. With this payment, a total of $223,000 has been paid for the project to date. 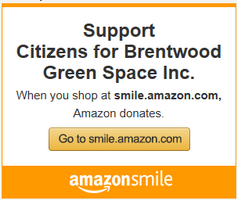 Citizens for Brentwood Green Space, Inc. is a tax deductible 501 (C)(3) Corporation. 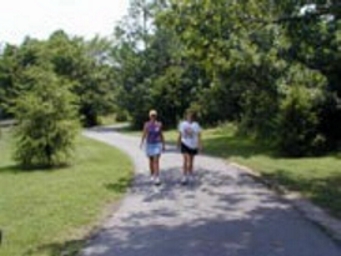 We appreciate your contribution to promoting green space in Brentwood. If you wish to make a donation to CBGS, you can donate using your PayPal account, a Credit Card, or by sending us a check. Click on the donate button below to make your contribution. We thank you for any amount you can provide. 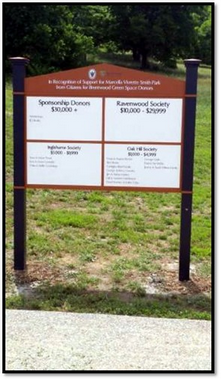 Donate $1000 or more designated for Smith Park and receive recognition on the Donor Wall. Thanks for visiting us! The Citizens for Brentwood Green Space (CBGS) seeks to unite the citizens of Brentwood,TN in support of Brentwood leadership in their quest to manage growth while preserving the quality of life and maintaining low tax rates. Key to meeting that objective is to preserve open space in the form of parks, trails, flood plains and historic sites while being sensitive to the rights of landowners and developers.